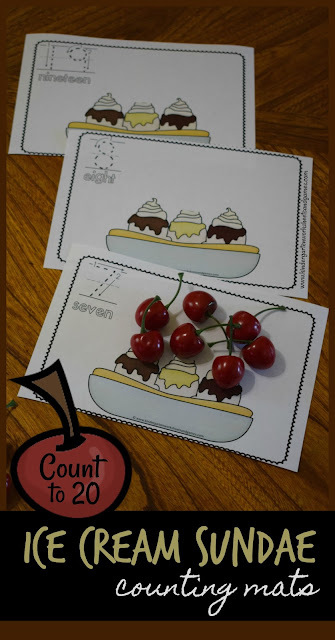 What could make counting to 20 more fun than doing it by putting cherries on top? 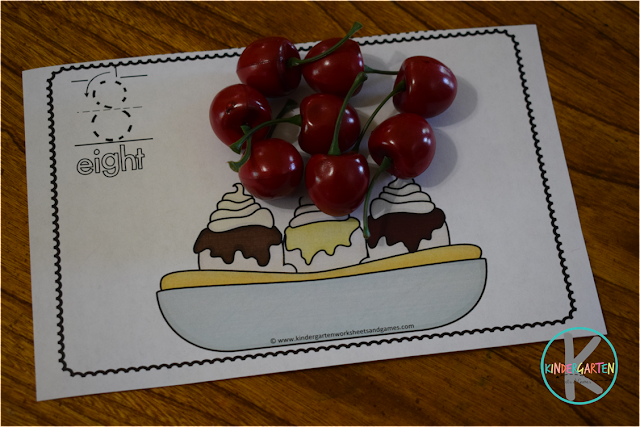 Come take a peak at our newest free printable Ice Cream Sundae Count to 20 Cards. Helping kids practice counting is an essential skill for preschool and kindergarten age kids. By the end of Kindergarten they should be able to could to 100 or more! Some of the hardest counting for kids is figuring out those teen numbers that don’t follow the regular pattern – eleven, twelve, thirteen, fourteen, fifteen, sixteen, seventeen, eighteen, nineteen, and getting to twenty. Continual, repeated practice in counting to 20 is necessary for kids to gain the math fluency they will need to form a firm foundation for future math. LOW PREP!! Just print these ice cream themed Count to 20 Cards. HINT: This activity is not only great for practicing hands-on counting all the way through the tricky numbers to 20, but it also has the number to trace and the number word to read and trace / color too. Summer is not the time to give up fun, educational activities or you will have a huge summer slide that will take kids almost half a year to get back where they were before summer! Make practicing counting fun with this summer learning activity.